Well. 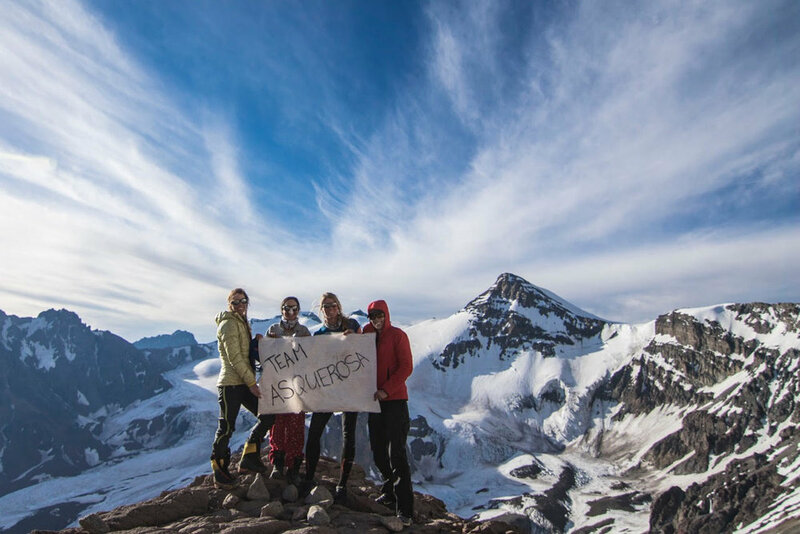 If you are reading this blog you probably already know that I in fact managed to complete the mission, and succeeded in becoming the first-ever woman to circumnavigate and summit 22,838ft Aconcagua via the 360 Route in a single push. It took me ~47 hours and 30 minutes, including a few nail-biter hours of permit trouble that had me stopped cold in my tracks at the Punta de Vacas ranger station only ninety minutes into the attempt. But in the end I did it, and it's hands-down the hardest I have ever had to work for a non-technical summit. 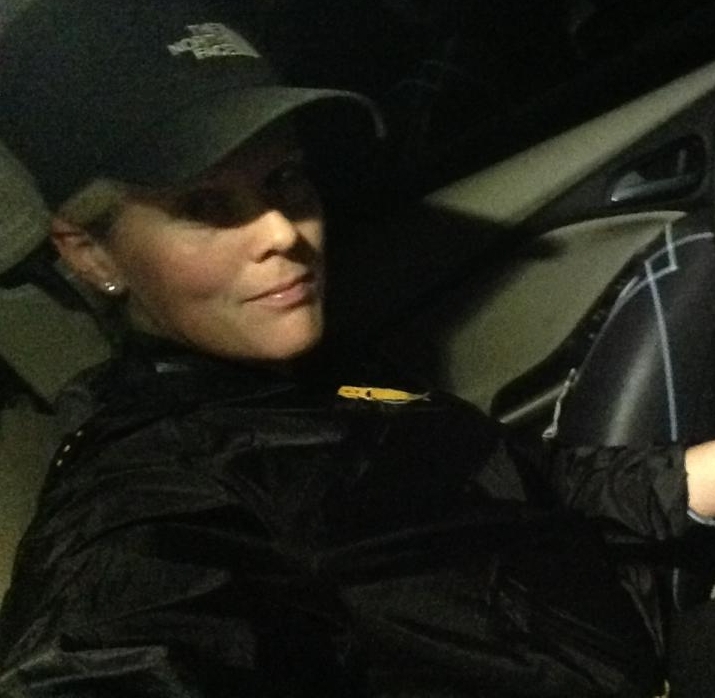 Today I want to share some unfiltered reflections that I wrote down for Seth Heller and National Geographic in the twenty-four hours immediately following the mission, when it was all still raw and my brain under the fog of exhaustion after two consecutive all-nighters and more than 50 hours without sleep. If you want a shorter read check out Seth's NatGeo article; for the full-length unedited version of the interview read on below. NatGeo: What inspired you to try for this record? I love mountains, altitude and endurance - so why not put them together! What grabbed me about this particular project was a combination of curiosity and a challenge to feminism: First, I hadn’t been on the 360 route before this season, and had always wanted to check it out since it’s supposed to be the prettier side of the mountain. Second, no woman had even attempted to do the 360 in a push. And only one single man - Nicolas Miranda in 2017 - had managed to succeed on the 360 in a push, though several have been known to try. NatGeo: How many times had you climbed Aconcagua / practiced this route ahead of time? 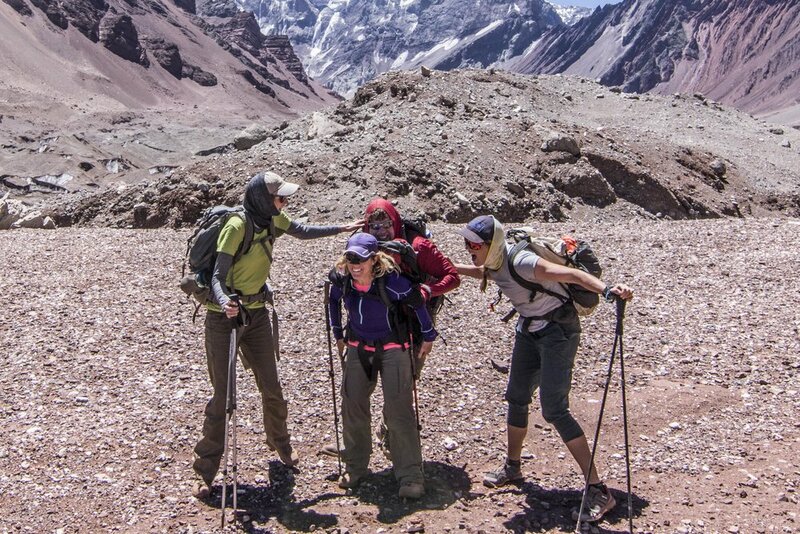 I had three season and a total of seven 20-day climbing permits on Aconcagua under my belt. I had summited three times via the Normal Route, but I had never yet been on the Vacas Valley side (where the 360 starts) when I decided to try for the record - so part of my strategy was to spend time in the Vacas valley before my record attempt and get acquainted with the trails and rivers there. NatGeo: How long have you been training for this? For this specific record - not very long. Initially the plan was for me and Libby Sauter to take care of some unfinished business on the Normal Route, but Libby unexpectedly had to bow out of the project at the last minute and I pivoted to the 360 mission in mid-January. I then spent a week at Camp II (18,300ft) to acclimatize some more after I had already guided a team on the mountain, and tagged the summit once during that time. That said... I like to think that my current lifestyle is training towards any and all mountain endurance projects: I climb, I guide, I spend time at altitude, and if a particular project grabs my imagination I go for it - like I did with the Annapurna Circuit Speed Record this past November. NatGeo: What was it about your style that made this possible? Patience with acclimatization. 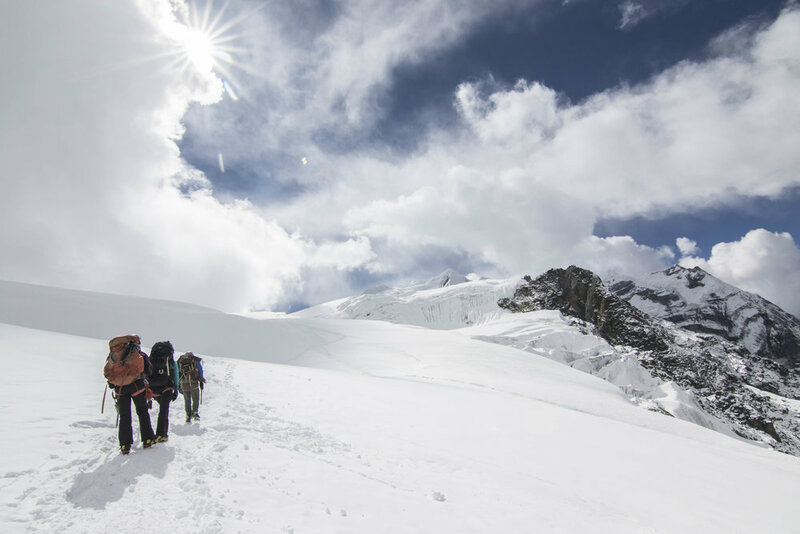 Combining guiding and high altitude endurance projects is a great way to spend time at altitude and get to know any particular area without breaking the bank. A mindset of self-sufficiency. I ran solo and didn’t have a support crew on the mountain (though I know many of the local guides and porters on the mountain by now, which was a comforting thought), and I was ready to succeed or fail by my own devices. A tendency to consider hurdles an opportunity for problem-solving rather than as a shutdown. Don’t have water on the upper mountain? Figure out what to do. Looking at day-old unstable mudslides that have destroyed the trail? Find a way to get across them. NatGeo: What was your training process like? The key elements of my training process were to spend time at altitude and acclimatize the best I could, to learn the trails so I could safely and strategically navigate them by myself at any time of day, and to try and stay healthy - which is something that I failed to do in the previous season. For me, a big mountain endurance project like Aconcagua is less about pure speed and physical fitness than it is about having your strategy dialed and having confidence in your ability to manage and self-extricate from whatever the mountain may throw at you. NatGeo: What was your strategy for ensuring you completed it and did so in a good time? Did you tweak your strategy during practice? The biggest strategy elements for this run came down to two questions: which sections of the route did I feel comfortable navigating in the dark / when did I most want the extra energy that sunrise tends to provide on multi-day efforts, and how could I time the required river-crossings in such a way that they wouldn’t be dangerous. Having heard a lot about the fast-flowing Vacas river that has to be forded on the approach of the 360 route, I initially thought that the river crossing was going to dictate my timing (as the flow of the river is noticeably lower early in the morning after the snow melt that feeds it has frozen over night); since this season was mostly dry, though, it turned out that the timing of the sunrise was much more important. I chose to approach the 360 in such a way that I would greet daylight right near Camp III at 19,200ft before starting the final and hardest 3,700ft of of the summit push. NatGeo: When did you know you were ready to go for it? NatGeo: Why did you decide on doing it that day? How many days in advance did you know you were going to go for it? 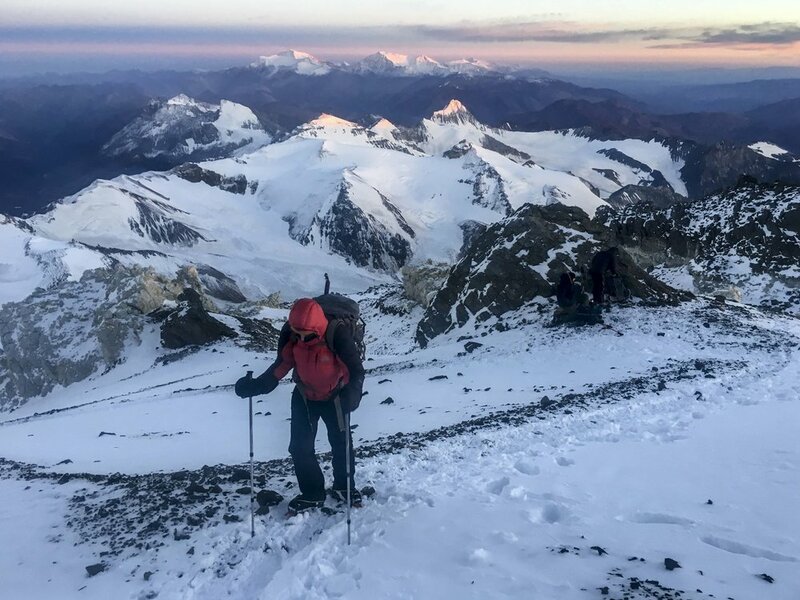 There were a few different forces at play: Each climbing permit on Aconcagua is valid for twenty days, and I wanted to max out my time acclimatizing and learning the trails before the run - so I knew I was looking at the final 3-6 days of my permit. Within those boundaries it all came down to weather; the forecast is only reliable some 4-5 days into the future, which makes it hard to plan strategically. Just looking at the calendar, I was always hoping that I would have a weather window on Jan 31 or Feb 1 - but I didn’t know that I was actually going to be able to go for it until ~Jan 28. NatGeo: What made you think you could accomplish this feat? I really wasn’t sure if I could accomplish it. Knowing the mountain well and having done lots of long ultra events, including a near-40-hour 100 miler and a multi-day record around Annapurna, and having set the speed record from basecamp to Aconcagua’s summit on the Normal Route in 2017, certainly all helped... but I was still very skeptical if I’d be able to pull it off. Reason being: there were a lot of women in recent years who tried to run from the (Normal Route) Horcones park entrance to the summit and back - a much shorter and arguably much easier task than completing the 360 route in a push - and all but Fernanda Maciel and now Dani Sandoval failed in their efforts. Fernanda needed three times to succeed in her attempt, Dani had to try twice... and others who tried and failed included not just me and Libby, but also Polish ultra runner Anna Figure and the Swedish queen of mountain running Emelie Forsberg. In other words: seeing all these crusher ladies try and fail on an “easier” project (while being supported by crews on the mountain btw!!) seriously made me question my ability to pull off the harder, longer 360 all by myself and without a support crew. Seeing Dani Sandoval succeed in her quest of breaking Fernanda’s record on the Normal Route just 48 hours before I started on the 360 record certainly helped inspire me and boost my confidence that what I was trying to do might in fact be possible! NatGeo: Did you tell anyone beforehand that day? Yes, of course! My close friends and my boyfriend who was supporting me from at home in Colorado. The Ultra List (North America’s ultra-running mailing list) to abide by the ultra community’s rules of announcing FKT attempts ahead of time and giving people the ability to follow along live via GPS tracker. And my friends on the mountain - most notably the staff of Inka Expediciones, the premier logistics provider on the mountain. NatGeo: Where/what time did you wake up and what did you eat? I woke up in Penitentes (the sleepy little ski resort on the road right between the two Aconcagua park entrances: the Punta de Vacas entrance is ~9km east of Penitentes, Horcones is ~11km west) at the Hotel Ayelen, which had generously offered me a free room for the days around my speed attempt. I had planned on sleeping until 6am and starting my run at 8am but I woke up and couldn’t go back to sleep right around 4am... which made me pull up the start time of my mission to 7:30am. I didn't eat very much that morning. I was heading out before the Ayelen starts their breakfast service so I made an apple and two PowerBars my breakfast. 500 calories right there! I also got some pre-service coffee from Steve, the manager of the Ayelen, which was lovely. NatGeo: How long did prep take? In some ways, years... I started learning the mountain and ultra endurance ways in 2011! But acutely, in the moment, not very long at all: I had pre-stashed supplies along the way at Plaza Argentina (basecamp on the Vacas Valley side, ~50km from my starting point), Camp Colera at 19,300ft and the point where the 360 route and the normal route converge for the last 3km stretch up to the summit, and Plaza de Mulas (basecamp on the Horcones or Normal Route side), so the big picture preparation was all done. The morning of the start of my mission I simply took a shower, tried to get as many calories in as as possible, and got dressed with clothes laid out the prior night before shouldering my Mountain Hardwear Fluid pack which weighed no more than maybe 10lbs fully loaded with all the supplies that would take me to basecamp. NatGeo: Anyone see you off in the beginning? Yes and no. My boyfriend (Metolius and 5.10 climber Paul Gagner) was always with me via text and Garmin InReach GPS messages, though from afar. More tangibly though, Steve - the manger of Hotel Ayelen in Penitentes - was the kind soul who not only offered me a place to stay but also made me some early morning coffee and wished me good luck right as I set off on my run. NatGeo: What were your emotions and thoughts during the approach? I was terrified. Having turned around on the Horcones-Summit-Horcones Normal Route mission with Libby last year, and having experienced an asthma attack high up on the mountain on my way down from the basecamp-summit Normal Route speed record I set in January 2017, I halfway felt like there was no way in hell I’d be able to pull off the 360 in a push by myself. I was questioning my motivation and my reasons for attempting a seemingly insane project like this solo. I thought I’m possibly sinking a ton of time, money, and emotions into something that I may not be able to finish. NatGeo: Where did you start from? I started at the Hotel Ayelen in Penitentes, which is half way between the Horcones and the Vacas entrance to the Aconcagua Provincial Park. NatGeo: Any “last words” or rituals before you started the timer? Not really.. but I’m pretty sure I muttered “wish me luck!” to Steve, the Ayelen hotel manager. NatGeo: What was the hardest bit for you? Why? Oh god. Count the ways. Probably going from Colera (Camp III, where the 360 and the normal route converge) to the summit. I had been to the summit three times prior to my 360 record attempt, and I know well how hard it is to climb from Colera’s 19,300ft to the summit at 22,848ft. When I arrived in Colera during the speed record, I had already been on the go for ~24 hours and I was exhausted. I didn’t trust that I had it in me to safely proceed to the summit - another 5-9 hours from Colera - and return. Thankfully there was a friendly local guide who was planning to summit with his clients on the same day, though I didn’t know this ahead of time. He saw me when I arrived at Colera and told me that he was headed for the summit as well - which was the deciding factor for me to continue on to the summit even though I felt in borderline shape. NatGeo: What were the biggest challenges during the record? Not giving up on the upper mountain. Making myself go for it even though I already knew the summit push - and how hard it is! - from three prior climbs. I was ready to turn around (and in fact once started down the mountain for a few paces) on at least six separate occasions above Camp III... yet somehow I mustered the willpower and energy to keep climbing. NatGeo: What was your technique to deal with those challenges? I am a believer in mantras. The two that I used on Aconcagua are: “No stress, just training.” (I use this one for a lot of different scenarios) and “Remember... even if every step feels ridiculously hard, doesn’t mean that you aren’t moving at a good pace.” - the second one is important because yes, I struggled majorly on the upper mountain, but I was still moving faster than your average guided client on a standard expedition - so how bad could it be! NatGeo: Any scares or setbacks or mishaps? If so, when and why and how’d you overcome them? At Punta de Vacas, about 1h20mins into the mission, the rangers wouldn’t accept my permit for me to re-enter the park. I ended up having to call upon my logistics provider Inka Expediciones who somehow managed to obtain a last-minute special permit for me in Mendoza. This cost me almost three hours of time, and over $700 in unplanned permit fees! At Camp III, Colera (19,200ft). Given the frigid temperatures, the only way to obtain water on the upper mountain is by melting snow, which is time consuming particularly if you factor in the time required to iodize the water to make it safe for drinking. Since I was unsupported I had stashed a stove and a pot of previously-boiled/iodized-but-now-frozen-water with the rest of my cache, intending to fire up the stove and melt the ice for water as soon as I got there. When I arrived, the stove and the rest of my cache were in place - but the pot filled with clean ice had been stolen! Meaning I had no way to refill my water or melt new snow. I still had ~700ml left from the prior section of the trail and decided to continue on to the summit with just that even though it meant severe dehydration for the next ~10 hours. When I descended from Normal Route basecamp Plaza de Mulas to the Horcones trailhead, I was warned that there had been recent mudslide activity... and I soon found out that this wasn’t a joke. There were about half a dozen mudslides that had occurred within the 24hrs before my hike out, that had taken out parts of the trail - and these weren’t little slides, but big ones that would swallow you alive (or crush you with the boulders that they had already swallowed). I lost almost an hour trying to figure out safe ways to cross the bigger slides between Plaza de Mulas and the trailhead. NatGeo: What was the point at which you knew you had it in the bag? At the summit. At that point it was just a question of getting back down to basecamp (which I had to do for safety anyway, regardless of any record attempt), and from basecamp it was just a matter of getting back out to the road - a hike that I had done exhausted and in the dark before while trying for the Normal Route speed record with Libby. And after that, 11km of road to close the loop to my starting point in Penitentes - but anybody could do that with their eyes closed, right? NatGeo: Was there anyone waiting for you at the end? Yes but no. My boyfriend Paul was following closely via my Garmin InReach GPS tracker. In person, Ayelen manager Steve was there when I stumbled back through the door after almost 48 hours on the move! NatGeo: What did you do immediately afterward? What were your emotions thoughts? I charged up and switched on my phone which had been dead since ~hour fifteen on the mission, jumped in the shower, and ate a big breakfast of eggs and bacon and fresh fruit. At that point I was mostly relieved to be done moving and to have completed the mission. I already knew that I had it in the bag on Friday afternoon (when I summited), so the time between Friday afternoon and Saturday morning (when I officially finished) was mostly just hard work and slogging towards a shower and bed! NatGeo: Were you expecting this to be the record-breaking attempt, or were you surprised? I had no idea what I was in for. Since there wasn’t another woman yet who had tried the 360 in a push I knew that I didn’t have a time to beat - though I did set myself a mental limit of 48 hours to legitimately call it a “single push” effort - but I also had no idea if I would be physically and mentally capable of pulling off a big run like this, especially all by myself. NatGeo: What does it mean to you to be a part of this epic piece of Aconcagua history? In my mind, Aconcagua doesn’t quite hold the prominence that it probably should as the second-highest of the Seven Summits. Don’t get me wrong, I love that I managed to become the first woman to do the 360 in a push - and it feels like a huge personal accomplishment, but not like a momentous milestone in the broader scheme. I am mostly stoked that I managed to pull it off in a single attempt, and I hope that there will be other women who look at this run and think to themselves “Wait a second.... I should be able to do this. And faster!”. NatGeo: Do you think you’ll try and break this record? Hell no. Why would I? 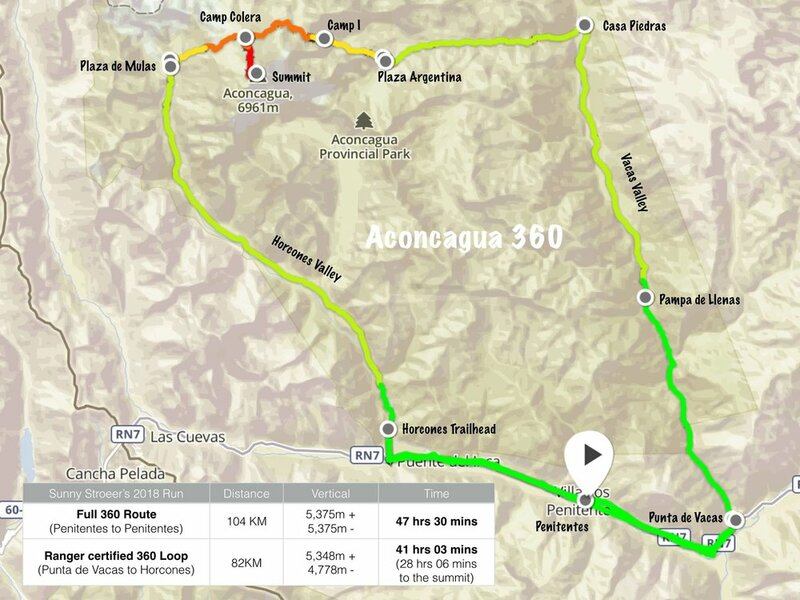 I do hope that there will be others who will go after it, though I would encourage them to only look at the Punta de Vacas - Horcones segment (skipping the ugly 20km road run that connects the two trailheads), which is the segment that the Aconcagua rangers certified for me anyway with a time of 41 hours and 3 minutes. NatGeo: What’s next for you this season? 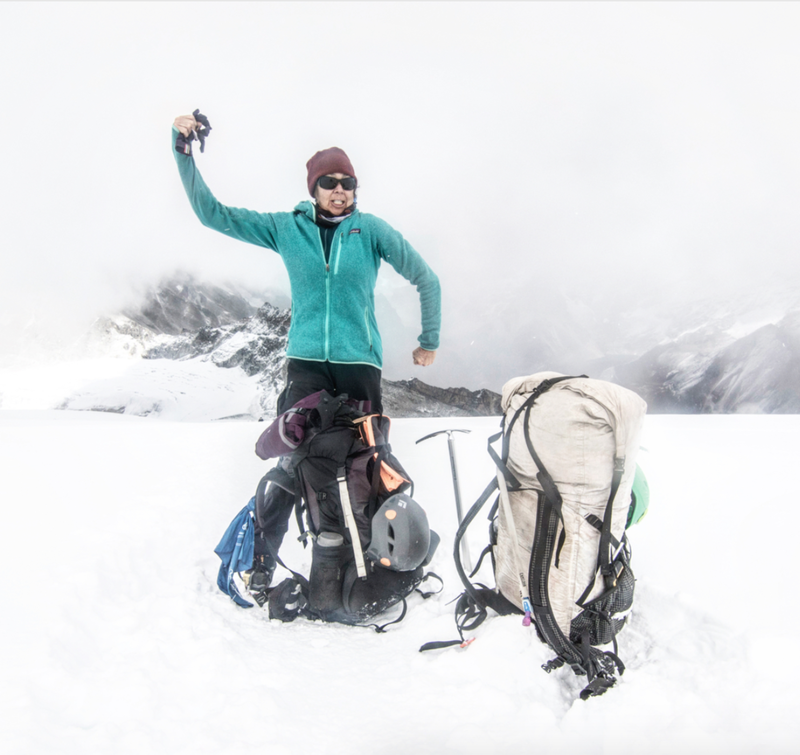 I am working on a speedy through-hike of the 812 Hayduke trail, and on more women’s high-altitude expeditions (check out the calendar here if you think you might want to join me!). Encourage women to dream and do bigger. Work with my sponsor Mountain Hardwear to get more women's outdoor projects off the ground. 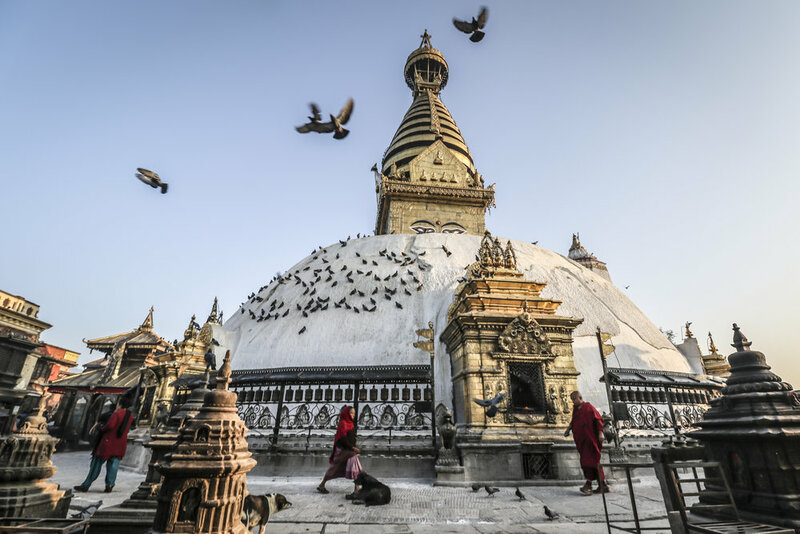 Become a National Geographic Photographer. And maybe embark on a solo mission towards the South Pole, too! I’m not really one for new year’s resolutions… but for one reason or another I seem to have developed rather stubborn January traditions to start off my endurance season. 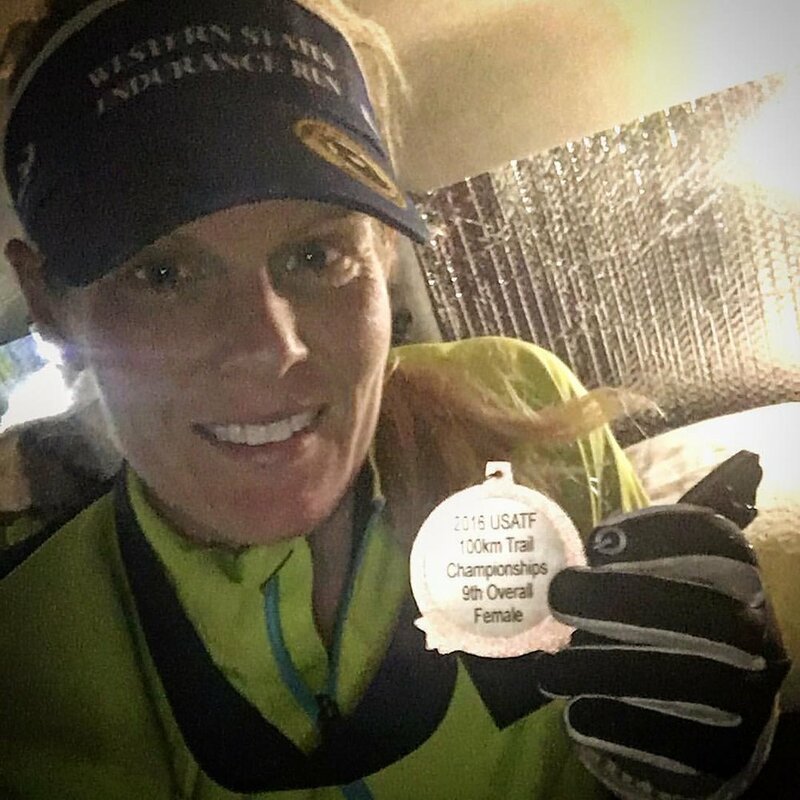 For as many years as I lived in Texas, my year would start off with the Bandera 100km USATF trail championships on the second weekend in January. 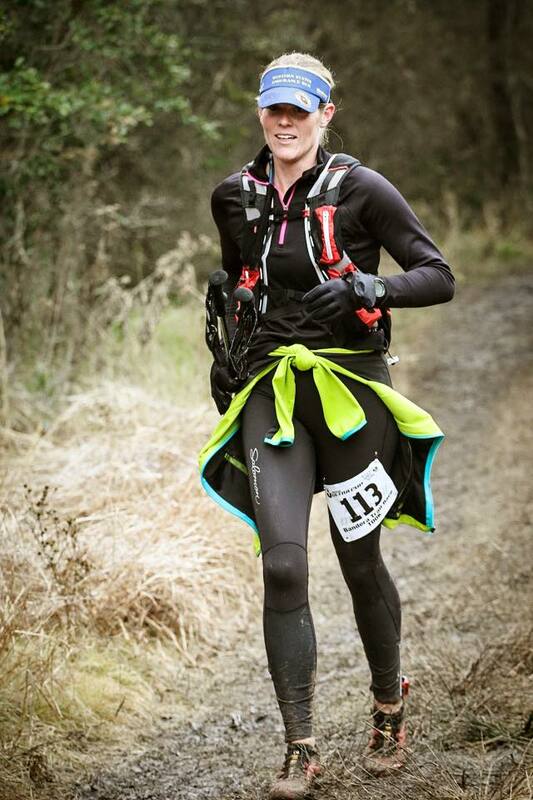 When I ran my first Bandera I was happy to finish, and quite certain I never needed to run that race again… yet I ended up toeing the line each January, year after year after year (taking roughly an hour off my PR each year until I placed among the top 10 women when I last I ran the race in Jan 2016, ha!). I’ve since left Texas but my January still follows a remarkably predictable pattern: only it’s not Bandera anymore; I have graduated to Aconcagua instead. As I am writing this I am back in the valley that marks the trailhead deep below the White Sentry’s towering flanks. The 2018 expedition team and Libby all have returned to the US, and I am spending time in Penitentes (the valley settlement) and on the mountain to invest time in building more red blood cells and to strengthen my lungs and legs at altitude. home sweet home. or the ultimate training camp? There is one thing that’s different this year though: Instead of spending more time and money on the normal (Horcones) route, I splurged on an even pricier permit that allows me to approach Aconcagua through the Vacas valley and explore the Polish Glacier / Plaza Argentina side of the mountain. It’s something I had wanted to do for years, and I am stoked to finally get to see a new perspective of the mountain that I know and hate-love so dearly. 19,000ft on the Normal Route - looks so peaceful and mellow, doesn't it? As of now my plan is simple: spend the next three weeks getting stronger at altitude, hopefully tag the summit once or twice in good weather, and towards the end of my permitted time go for a longer endurance effort to see if the altitude training was effective in advancing my mountain running skills. To say that I’m curious about the outcomes would be an understatement. High altitude training camp officially starts today! Per the usual I’ll have the occasional blog/Instagram update - connectivity permitting - and GPS tracking. I’m all by myself on this particular adventure so if you feel so inclined to say ‘hi’ via the GPS messaging function please don’t hold back (but be aware that my response times may vary, particularly when I need to preserve battery). With that, as Libby would say.... here’s to another #EneroDeEnduro! With the gang at Nido a couple weeks ago. I'll miss the team while I'm up there! Wow, what a whirlwind these last couple weeks have been. 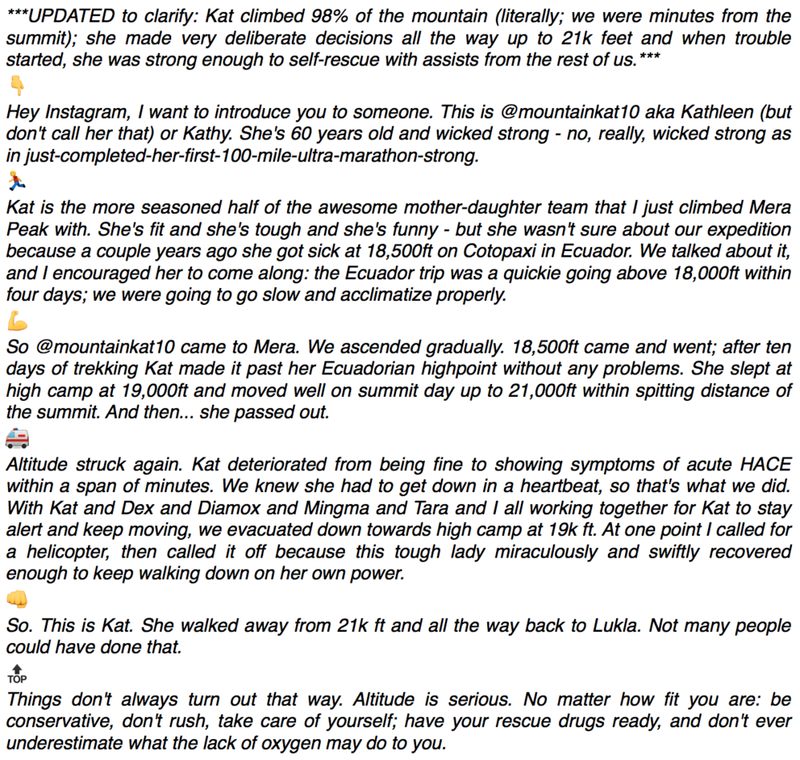 I last shared an update with you on January 3, shortly after Bobby had to abort the climb at basecamp due to pulmonary edema; a lot has happened since then. Our tent at Camp III. Hint: it's not supposed to look like this - the normal route is dry in most years. With Bobby's departure, the team morphed from co-ed to an all-ladies configuration. We sat out a 36-hour windstorm at Canada (Camp I at ~16,400ft), which seems to be turning into an annual tradition for me: I am 3 for 3 in that department now. We got snow. LOTS of snow. Every day. Clear sunny mornings but snow every afternoon - sometimes more than a foot at a time. 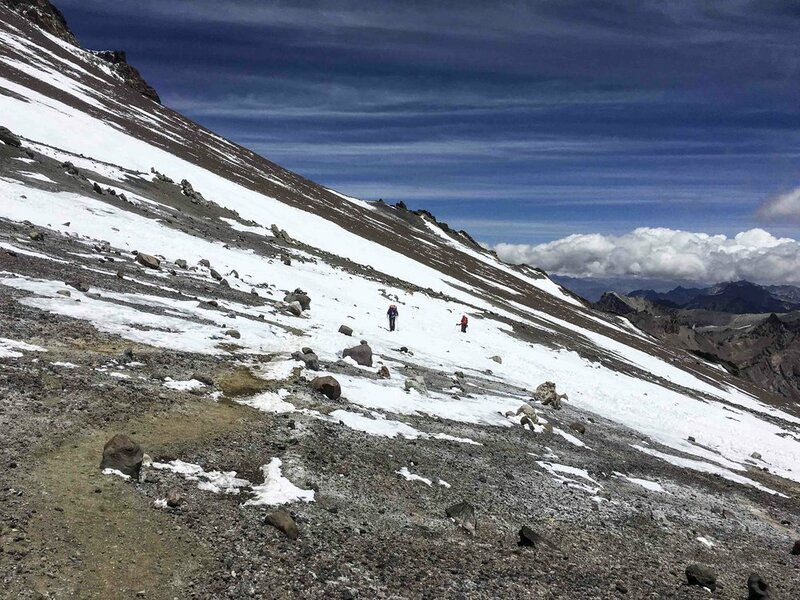 There were reports of summit hopefuls breaking trail through waist-deep snow in the Canaletta (the crux of Aconcagua's Normal Route some 1200ft below the summit). We got to work hard at getting higher and higher up the mountain, completing a series of load carries and moving camp three times. It was hard work in the cold and thin air, but with it came many of moments of beauty and light-heartedness. Turns out that once again it's all about the company! 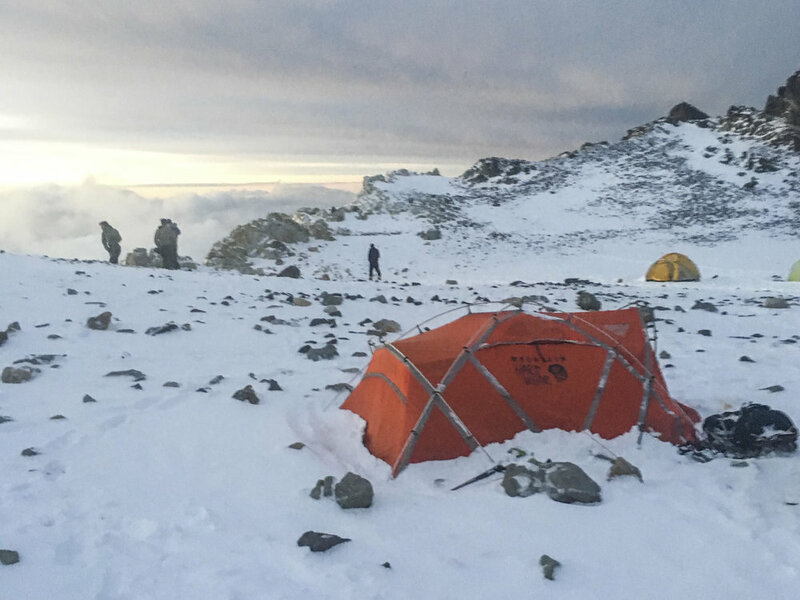 We successfully established Camp III to get into position for a summit bid, and set out at 3:30am on January 9 with high hopes of making it to the top. It was a beautiful calm night followed by a glorious sunrise but after five hours of climbing we had just barely reached the halfway point to the summit. Knowing that there was bad weather in the forecast for the afternoon I had to make the call to turn the team around. A few teams succeeded in putting members on the top that day, but many struggled and some returned with frostbitten digits. The chicas with a sweet note from our Inka porter/guide friend Julian Kusi. Not getting to the summit isn't fun, no matter if your turnaround point is three days into the approach or thirty minutes from the top. But one of the biggest lessons that the mountains have taught me is that climbing is not about getting to a semi-arbitrary highpoint. It's about discovery and discipline and self-awareness and sound decision-making; any summit is just the icing on the cake. And with that... the Aconcagua saga continues. Scroll down for a couple more photos from the last week. We greeted the New Year from basecamp Plaza de Mulas at 14,300ft. 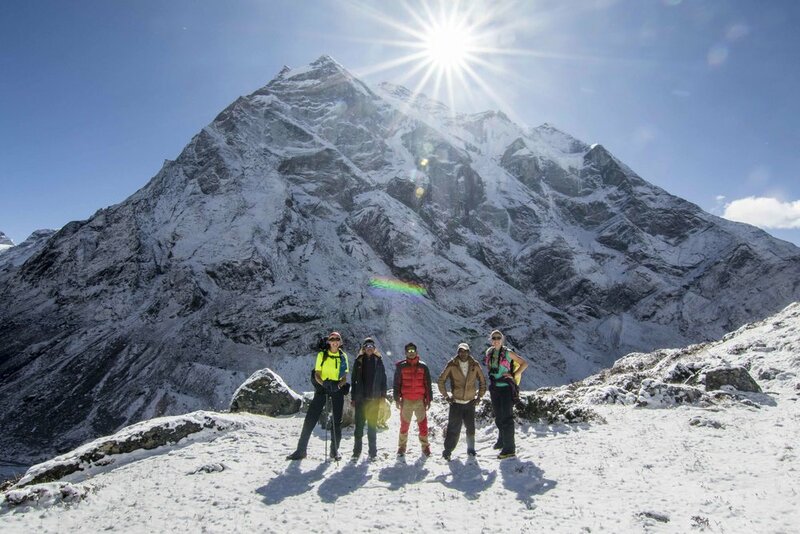 All of us are showing some symptoms of altitude (as is to be expected after a rapid gain in elevation and a few long days), ranging from a racing heart and shortness of breath to headaches and a bit of nausea. Today is a full-on rest day though, which will help with acclimatization. Tomorrow we will carry a load up to Canada - Camp I at ~16,300ft - but then return to basecamp for another night in relative comfort: we are sleeping in dormitory bunk beds rather than tents down here, and get to enjoy the luxury of proper food - including BBQ for New Year’s Eve yesterday. The weather has been quite nasty over the last two days - cold with lots of snow showers - but the forecast is now calling for clear and sunny skies for the next week. Stoke is high. And with that... feliz años from basecamp! Well then! The team is complete: we've all made it to Mendoza. It is sweltering and humid here, with the occasional monsoon-ish squall in the night and burning hot sun during the day. Bobby, Kristin, Walker, Libby and I had a productive 36 hours during which we consumed what seemed like about three and a half cows (gotta get those proteins to power us up the mountain! ), four pumpkins, and at least one bottle of wine. Though what's much more important is that we successfully acquired climbing permits - or, as Kristin dubbed it, the most expensive piece of paper you'll ever possess outside of your university diploma - and packed roughly 400lbs of payload that will accompany us to basecamp; some on our backs, some on mules. Stoke is high! L-R: Kristin, Sunny, Bobby, Walker. Thanks Libby for the photo. We leave for the mountains early tomorrow: an 8:30am departure in Mendoza should have us ready to go at the trailhead in Penitentes before 2pm, which leaves plenty of time for us to cover the ~3 uphill miles to Confluencia, the first camp at 11,000ft, where we're spending two nights for acclimatization. Team medic Libby at Confluencia last season. No worries, we'll have tents this time around. Confluencia has neither cell phone signal nor wifi so we'll be offline until New Year's Eve - but if you count any of us among your loved ones or friends (or if you just want to randomly say hi, ha!) you can still do so by sending a message to our GPS communicator; It's free of charge and everyone loves getting messages - particularly a tired and dirty mountaineering team - so don't be shy :) I'll switch on the GPS as soon as we hit the trail. More details and messaging interface right here: http://www.sunnystroeer.com/gps. And with that... we're off! If there's connectivity we'll try to say 'hi' and share photos from basecamp on New Years Eve. See you there! What New Years at basecamp typically looks like - the summit looks close from there, huh? See that big spine I'm pinching? Libby pulled that one out of my scalp. PS - in case you're wondering what the most interesting things are that have happened to us so far: we've met lots of old and new friends and friends of friends all over Mendoza - on the street, in restaurants, at the Aconcagua permit office; it's a small place. And I had an awkward encounter with a low-hanging palm leaf which resulted in a massive splinter being lodged in my scalped for a few hours. Good thing we have Libby along as a team medic, ha! Monday morning, 5:38am local time - Kathmandu hasn't woken up yet but Kathy, Tara and I are set to meet in 12 minutes and start the long jeep drive to Salleri, from where we'll start the long way to Mera Peak. Tara and Kathy arrived yesterday shortly after lunch, and we had a full afternoon with last minute gear prep, logistics, and the first dinner in Nepal. Everyone is in good spirits and excited to head into the mountains today. The GPS will be live starting later today - check out where we are and feel free to send us messages on it, too! Once we're out there I'll do my best to share photos here and there. Stay tuned. Ever thought going off on some daring big mountain adventure and got overwhelmed by figuring out the right gear for it? I'm willing to bet that anybody who's gone off to a large scale adventure knows that feeling of "oh boy oh boy" as they're starting to get into the gear planning. And unless you're Kilian Jornet, your favorite outdoor brand may not be bending over backwards to design custom solutions that are just right for your adventure - so figuring out the right mix of functionality, durability, warmth, and weight all comes down to creative problem solving, particularly when you're trying to go fast in extreme temperatures. I was lucky enough to be be in a position where I could draw on cutting edge gear from a number of sponsors and supporters (thank you adidas Outdoor, Lenz, Backpackers Pantry, PowerBar, Hyperlite, CAMP USA, Petzl, LuminAID and Goal Zero!) but I also had to get creative. 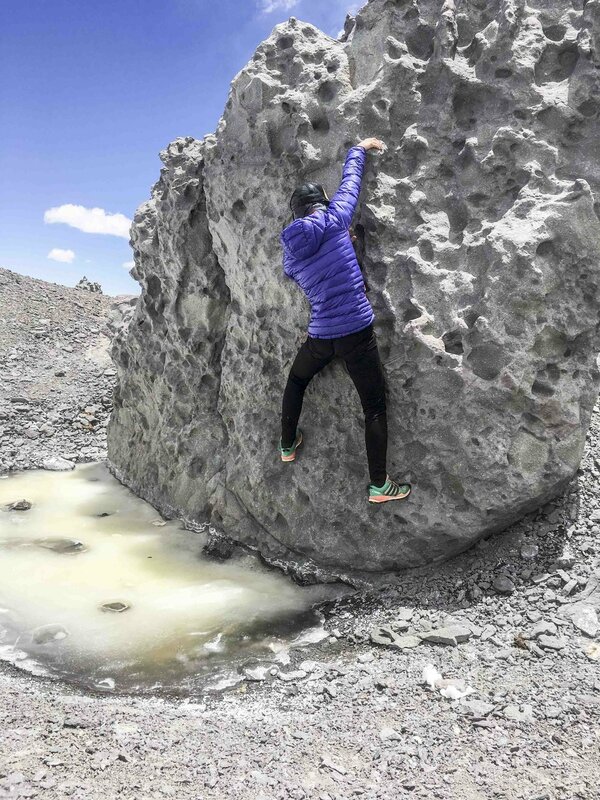 I needed to keep everything as light, comfortable and breathable as possible - given that Libby and I were looking at a 20-30+ hour continuous push from 9,000ft up to almost 23,000ft and back down - but couldn't risk frostbite. Take a look below for how I put together my kit. Gloves. Lenz Heat Gloves 3.0 Women, with Outdoor Research Alti-Mitts (sans liner, since the Lenz gloves could double as a liner) for backup. Powered by a lightweight and rechargable lithium-ion battery pack, the heat gloves provide active warmth for up to ten hours - while providing a much higher level of dexterity than you'd find in any non-heated glove of similar warmth - and are well worth the cost. Ice axe. The lightest out there, the Corsa from CAMP USA. We ended up not needing axes given the lack of snow, but this axe is my weapon of choice for any non-technical snow climb. Trekking poles. I used and love the Black Diamond Distance Carbon Z Trekking Poles. They're super light, collapsible, and have skinny grips (which keep me from getting cramps). Upper body. Layers upon layers! A basic adidas Terrex tee, the awesome Terrex Skyclimb top, and a gaggle of jackets: the men's adidas Terrex Climaheat Agravic together with the slightly lighter Women's Terrex Swift Climaheat Agravic jacket, plus the Terrex FastR Gore-Tex jacket. Lower body. Again, layers. A pair of tights beneath the adidas Terrex Techrock Winter Pant, topped off with a custom GoreTex bib. Overall warmth. Lots of Grabber Warmer hand warmers, ultra warmers and foot warmers. Yes, that's in addition to all the down and heated gloves and heated socks... it does get that cold up there. Socks. I tried out the Lenz Heat Sock 5.0 Toecap for this project and was blown away by their performance. Full review to come soon! Footwear. This was a bit of a homemade custom job, since I needed something light and runnable - meaning not the La Sportiva Olympus Mons that I would typically wear on a peak like Aconcagua - but warm enough to protect my feet from prolonged periods of subzero temperatures. I cut a set of supergaiters down to be just above-ankle high and glued them on to the Salomon S-Lab X ALP Carbon GTX to prevent the top from popping off (a common supergaiter issue). Combined with the Lenz Heatsock 5.0 and a set of Grabber Warmer foot warmers for backup, this custom setup did wonderfully well. Crampons. The new Petzl Leopard FL crampons - light as a feather and super durable. I think they're actually lighter than YakTrax or MicroSpikes, which would have been the alternative. And finally, the last piece of the puzzle: Running Packs. A big mountain run like Aconcagua requires a double-pack approach: an ultra-lightweight, skinny pack or vest to wear right on your baselayer (underneath all your other layers) in order to keep your hydration system from freezing, and a larger running pack to accommodate gear, food and layers. I used the Mountain Hardwear Fluid Race Vest as my base sleeve, and the Mountain Hardwear Fluid 12 Backpack as my outer running pack. The above kit is what I just about lived in for well over a month. When we had periods of nice weather lower down in the valley, I would simply take off the outer layers and adjust some of the winter gear with less extreme substitutes - a pair of adidas Terrex liner gloves instead of the Lenz Heat Gloves, Injinji toe socks (a favorite of mine every since I started ultra running) to replace the Lenz Heat Sock, and the lightweight and grippy adidas Terrex X-King trailrunner instead of my homemade big mountain trail runner. Now, this is what I wore on my body; of course the gear requirements don't stop there... here's the rest of the setup. Camping. Libby and I had two tents on the mountain: the trusty Mountain Hardwear EV2 which I have used on multiple big mountain trips now and always was happy with, and the roomier The North Face Assault 3 which I have come to dislike thoroughly (full review coming eventually, if you're looking for details before I get around to it, email me with questions). Sleeping. We used an ultralight and highly comfortable Therm-a-Rest setup for sleeping pads, combining the classic Z Rest with the NeoAir XTherm (R Value of 5.7!) and a compatible chair kit for added comfort in camp. Our sleeping bags were -20 to -40F bags from Mountain Hardwear and TNF. Food. Nutrition is crucial on an expedition and all-too-often underestimated, which is the reason I include it in my gear list. Our base nutrition consisted of Backpackers Pantry freeze dried meals for dinner, stout oatmeal - fortified with powdered milk, honey and dried fruit - for breakfast, and PowerBar gels and bars for fuel on the go as well as for sweet treats. For me, this mix works great; others may need more variety to stay excited about food on a long trip. Kitchen. I use and am a huge fan of the MSR Reactor stove system, which is more powerful and efficient than any other stove I have used. For lightweight cook- and dinnerware, I switched to the Sea To Summit collapsible X Series a few years ago and have never looked back. Carrying. For the approach to basecamp and carries on the mountain I rely on Hyperlite Mountain Gear's large all-rounder, the Southwest 4400. Beyond its durability and waterproofing, I love that the pack is ultralight and seamlessly adjusts from medium-size day pack to porter volumes. That said, the pack isn't designed to carry super heavy (but I've been just fine with it carrying loads up to 65lbs). And that's just about it! Of course there are the lovable and sometimes indispensable luxuries like solar lighting (check out LuminAID) or solar power from Goal Zero, as well as important peripheral items like headlamps or water purification. If you're looking for a comprehensive packing list to prepare your own climb, feel free to reach out to me and I'll be happy to share the detailed equipment run-down that I have used on past expeditions. Climb on! "Keep going. Seriously... you totally got this. The summit is SO close!" Role reversal. For the last ten hours, all through the night, I was repeating a variation of these lines to encourage Libby - but now it's Libby telling me that I need to keep moving. We are just shy of 20,000ft; the air is thin, the cold brutal, and we have been moving for nineteen hours and change. The summit is maybe a mile away, another 3,000ft higher up; we can almost see it from where we are - spitting distance. Yet at this altitude and with our exhaustion level, spitting distance will translate into another 6-7 hours of strenuous climbing. "Sunny - do NOT turn around. Just go and get it done for us both." Libby is doubled over on her poles, fighting to catch her breath. The moment I start walking towards her she lays down in the snow, her body an expression of fatigue and defeat. I am struggling for air, too; my eyes are burning from a long sleepless night and climbing by the narrow beam of my headlamp for hour after hour. 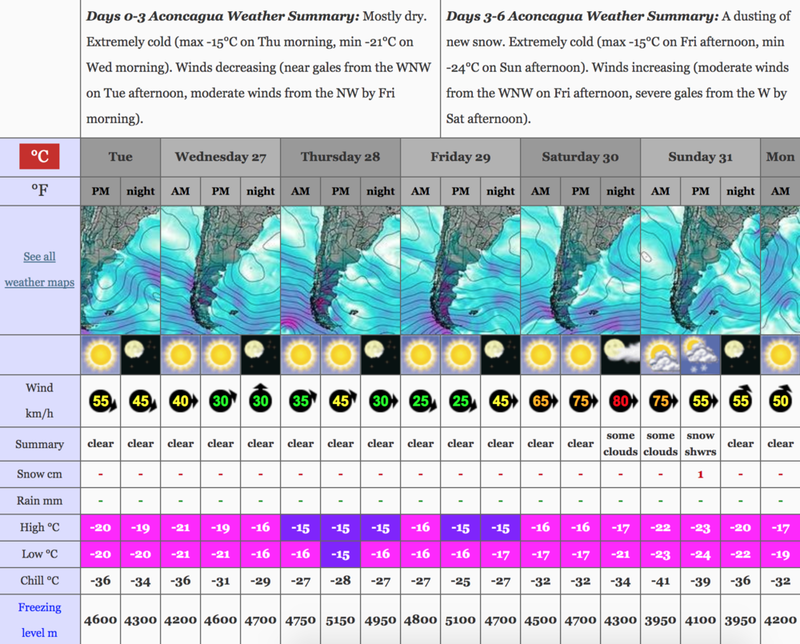 Today, like on every other day, Aconcagua is refusing to go down easy. We've been here before. Literally, and figuratively. This is Week Six on the mountain for Libby and me. We are on our third 20-day climbing permit. We have both summited once already, and today is our second go at climbing Aconcagua in a single push from the Horcones trailhead - some 20 miles down valley from here. Many women have tried this endeavor; to date, only one has succeeded. Fernanda Maciel, the Brazilian TNF & Red Bull ultra runner, took three attempts to become the first woman to complete the roundtrip in a single push not even a year ago. Libby and I are at a crossroad. We’ve pushed so hard, and poured so much into this project. A high altitude ultra run, that’s what it was supposed to be. Libby, always tongue-in-cheek and self-deprecating, dubbed our effort the Cardiocrawl. When a “fast” ascent means that you’re taking over an hour per mile, it seems like a fitting moniker. Now here we are, at 20,000ft, and it looks like the final curtain is falling on Project Cardiocrawl. We have tried and failed once already, and now we’re trying again… and failing, again. I walk back towards Libby and sit down in the snow next to her. She’s been an inspiration to watch, pushing herself to continue on past exercise-induced narcolepsy and nausea that started early last night. I know she has been fighting a monumental fight, and up until two hours ago I thought we would make it. But now… now things are looking different. Decision time at 20,000ft. At the time of the video, we still had plenty of daylight left to continue moving up and attempt the final mile that separated us from the summit. Upper mountain wind speeds on this day were somewhere between 20 to 30mph; temps with wind chill were in the negative teens (Fahrenheit; negative twenties Celsius). So, yeah: we’re going to call it again. We’re going to call it, because no mountain is worth risking life and limb. We fought for as long as it was safe to fight, and we got farther than last time. But no matter how badly we want this summit or how close we are to getting it done, the mountain doesn’t make exceptions; we need to, like everyone else, make good decisions. 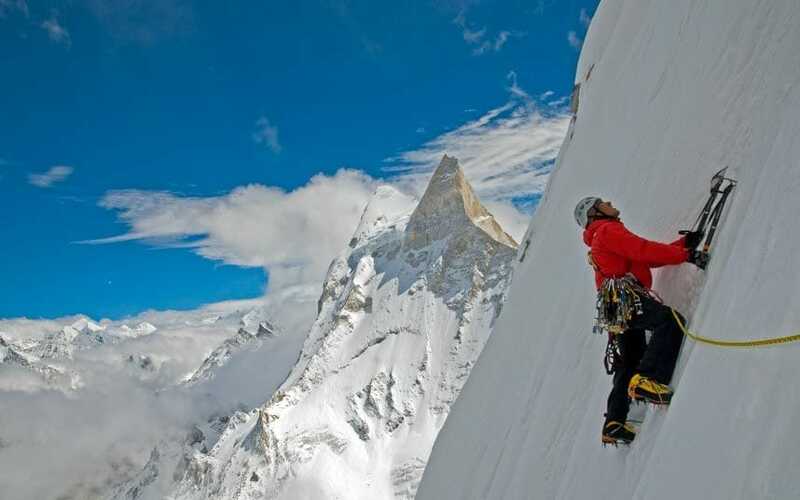 The summit is not the ultimate goal - getting down safely is. And if getting down safely means to turn around after we have covered 95% of the distance and 81% of the ascent from trailhead to summit… so be it. The mountain will always be there; if Libby and I keep our health and our stoke, we’ll be back one day too. But first it's time get down and off this mountain, for this season anyway. Thanks everybody for all your support and encouragement along the way - I hope you’ve enjoyed this journey as much (and at certain times more, ha!) than Libby and I did. We of course did get safely off the mountain, and we even had enough stoke (stubbornness?) left after bailing that we pushed all the way back to the trailhead twenty miles down-valley, turning the roundtrip attempt into a mad 35 hour mission. 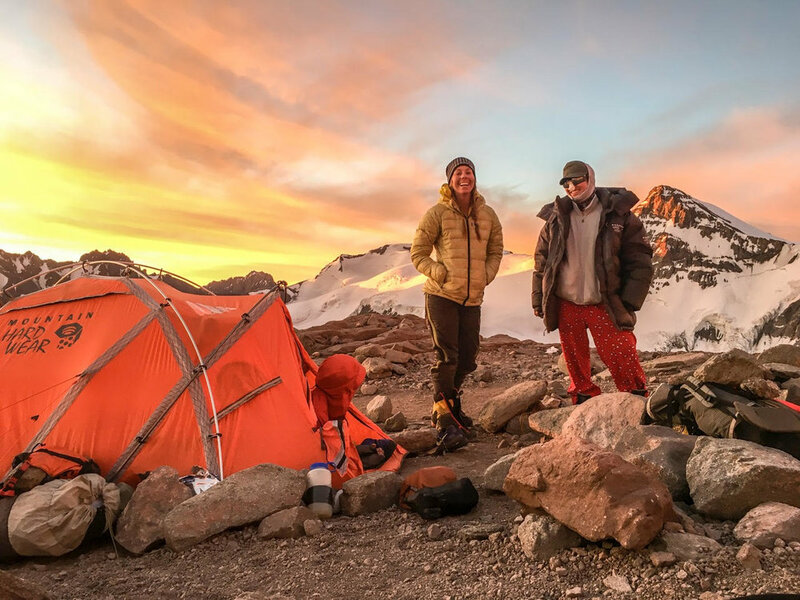 There’ll be another field notes post soon to talk about the gear I used in setting the new Aconcagua basecamp-to-summit women’s record, as well as how Libby and I designed our kit to try for the full roundtrip; after that, this series will come to a close. 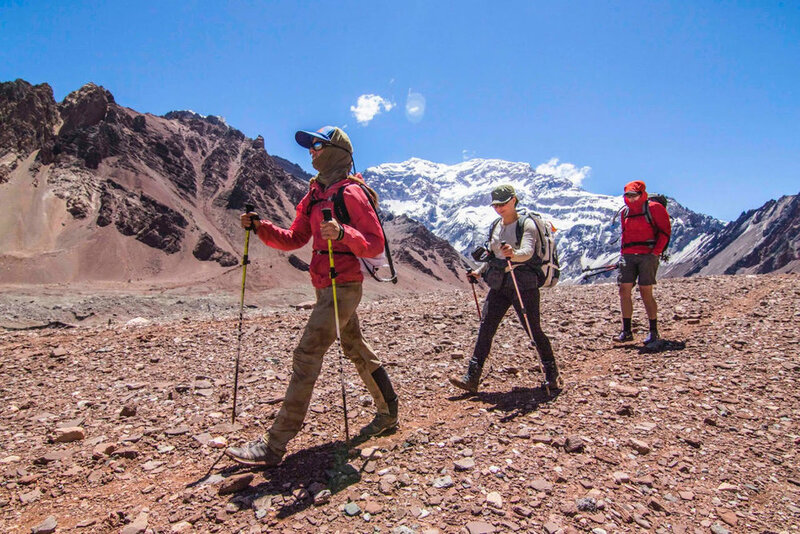 If you’re enjoying following along on the adventure, subscribe to my main blog to have stories about non-Aconcagua outdoor pursuits delivered to your inbox. It's Sunday afternoon, and Libby and I are sitting in Penitentes yet again; I have lost count of how many days we've spent in this sleepy little ski station at the foot of the mountain since the start of our Aconcagua adventures over six weeks ago. Well. This is bound to be one of the last times, because tomorrow afternoon we shall be on our way again to attempt the big push from the Horcones trailhead to the summit and back - the same mission that we failed on just over two weeks ago. We're hoping that this time will be different: Libby and I are both healthy now, and we have an incredibly lean setup on the mountain. The last go-around was designed as a supported push with photographer and ultarunner John Evans in position to assist us on the upper mountain, and fully equipped aid/sleeping station tents in place both at 14,500ft as well as at 18,300ft. This time it's just Libby and me with a bit of coordination help from our local friend Juli who will ensure that we have potable water waiting for us at Camp II, where the only way to find drinking water is to melt snow. We stashed warm clothes and extra food on the mountain, and we do have emergency sleeping bags... but no tents, and no pacer support for the upper mountain. This is a team effort. We will support each other, encourage each other, not split up, and get it done together or not at all. On the last go we knew from the start that I had very little chances of getting high on the mountain (due to my lingering respiratory infection) so it was going to be up to Libby to push through solo for big stretches of the run. Slow is smooth and smooth is fast. 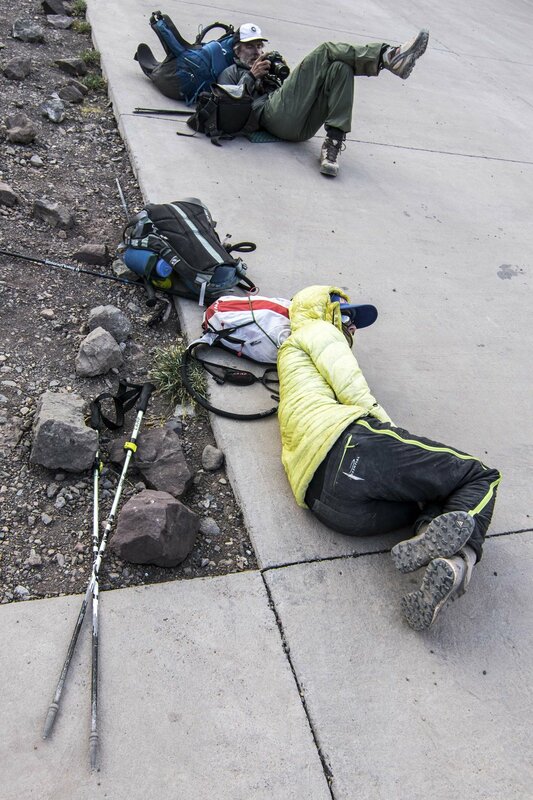 Our pace up to basecamp was stiff last time - likely a bit too stiff for the two of us. We're planning to slow down the approach and save steam, our breath and strong legs for the upper mountain where they're needed most! PowerBar, Trail Butter and HalfPops have been awesome in keeping us fueled on the go, but we squarely did not take in enough calories early on the last go. Yet another reason for us slow things down and make sure we're fueling frequently and sufficiently. We've got very little incentive to stop since we don't have tents set up on the mountain, and lots of incentive to keep going - there is a frenzy of record and big push activity on the mountain right now, which makes everything more exciting! 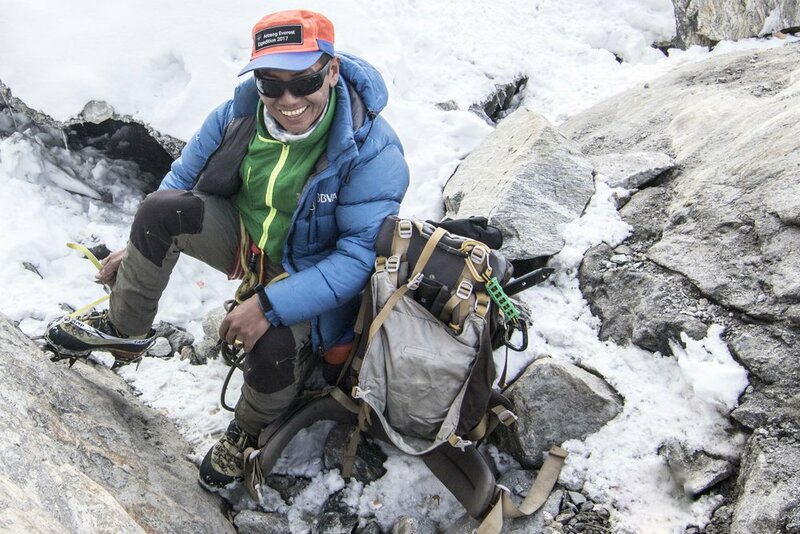 Ecuadorian Nicolas Miranda just set a new speed record on the 360 route (which traverses both the Vacas Valley and the Horcones Valley) yesterday, and his fifteen year old team mate Daniela Calapiña is vying to best my recent basecamp-summit women's FKT on the same day that Libby and I are planning to summit during the big push. The weather is looking good, we are rested and anxious to get moving, and now all there is to do is show up at the trailhead and get 'er done. Let's do this!! PS - we'll have live GPS again if you want to see how we're faring this time, and Paul will keep my Instagram up-to-date on go day. Thank you all for the amazing support and encouragement you've been giving us along the way! Looking forward to running under these stars again! Though we will have close to a full moon this time, which should help us navigate the faint spur trails down in the lower Horcones valley. At least, I imagine that’s what they said when Sunny and I didn’t show up for our flights back home this morning. We agonized. We debated. One minute we were packing to go home. The next, we were definitely staying. Our decision flip flopped like a fish in a dried up stream. But in the end, with the generous and unwavering support of adidas Outdoor, we realized the regret and the unexplored outcome of a team attempt would torment us more than the ensuing dent to our bank accounts. So, there it is. We are going back in. Tomorrow (Sunday), we head back to the trailhead and will hike into Confluencia. Monday will have us at Base Camp. Tuesday and Wednesday will be spent setting up our aid station at Camp Two, Nido. From there, we come back out of the park to rest at the trailhead for a few days until we see a good weather window.